Summarising the case for the investment in and adoption of AI to enhance citizens’ lives and discussing the practical application of this technology as it approaches critical mass, Digital Vision for AI offers a range of expert views from within Atos and other leaders in the field, including industry body techUK and thinktank Onward. AI is at the centre of the UK’s digital tech sector worth £184bn1 and offers the UK economy an opportunity worth 10 per cent of GDP by 20302. And while the economic case is clear, the paper supports continuous examination of this evolving technology and its appropriate ethical governance and use. 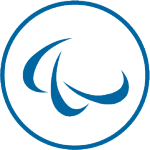 AI encompasses a range of technologies and capabilities and will come with great benefits; Atos also argues that self-regulation for the sector has its natural limits and the Government’s new Office for AI is a welcome step to address this issue. 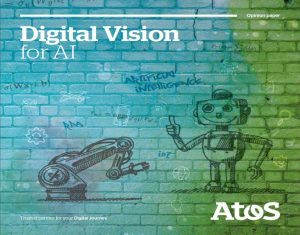 This latest paper in the Digital Vision programme follows the announcement earlier this year of Atos’ new global partnership with Google Cloud, which includes the creation of three R&D centres and Innovation Labs to focus on AI and Machine Learning, while Atos is shortlisted in the AI Pioneer of the Year category at the National Business Awards 2018. July 2018 saw the launch of the Atos Codex AI Suite to support businesses and research institutes in the development and management of AI applications.